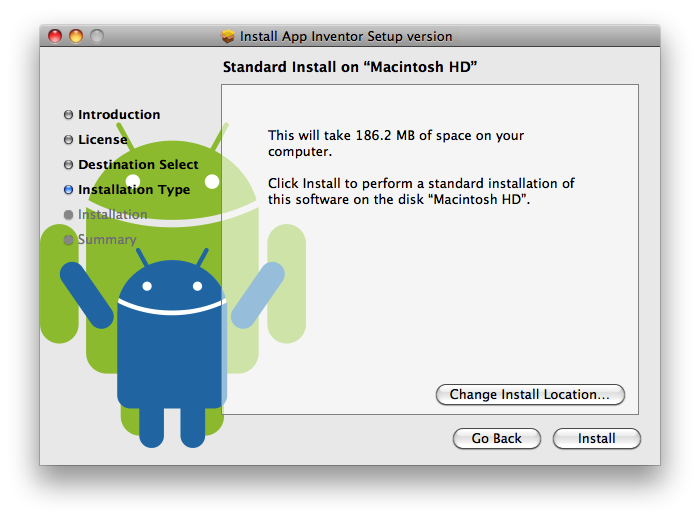 To get the Android emulator for your Mac, download and install the Setup Package. Click the blue link below to begin the download. Version 3.0: For macOS 10.10 (Yosemite) and up. If you previously had the emulator installed, you may need to perform a hard reset. Double-click the downloaded file to start the installer. (You may need to look in your browser's downloads folder. 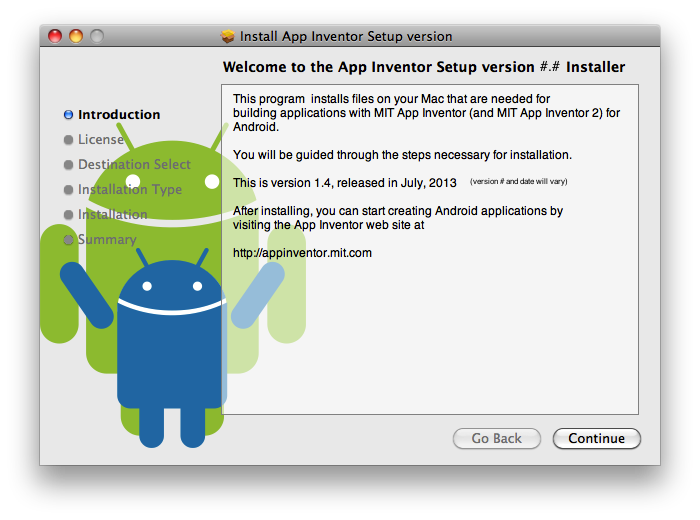 The file is named AppInventor_Setup_v_X.X.dmg where the X.X is the version number.) If you get a message that you cannot install an application from an unidentified developer, control-click the app icon, then choose Open from the shortcut menu. If asked, enter your password to confirm that you really want to install software. Click OK. The installer confirms that the App Inventor Setup package was installed. Something not working right? Visit the troubleshooting page, or check the App Inventor User Forum for help.